Has any consistent subset of economists been able to predict financial crises over time? How consistent, accurate and reliable are weather forecasters at predicting the weather? While there are many benefits to medicine, in much of medical history, patients were better to avoid the doctor because of poor hygiene and folk practices such as bloodletting. While anyone could argue that it is still worth it to consider economist predictions, the weather forecast and a doctor’s advice, it is equally important to take it all with a grain of salt. All humans are fallible and as project managers, we need in the end to use our best judgment considering the information available to us and our teams. In fact, we can even put into place risk mitigation systems to control the risk of overreliance on authorities – or authority figures. Consider the tragedies that many have experienced in airplane accidents. There have been culturally enforced beliefs in not questioning authority – in this case being the airplane pilot – that have led knowing subordinates to not speak up when they should have. The response has been the development of a process or system of Crew Resource Management (CRM). In CRM, pilots and crews are coached – or is it retrained – to discuss any reservations openly and quickly…without fear of captain of reprisal for not respecting authority. 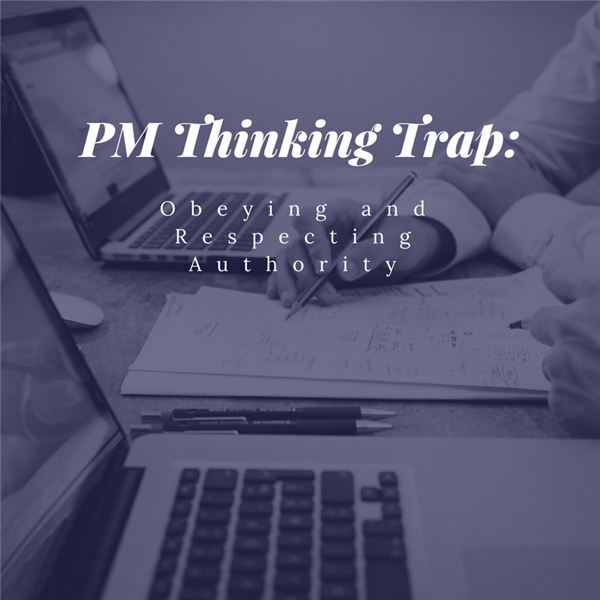 What system of beliefs, processes or training do you have in place on your projects to manage the risk of misuse of authority?